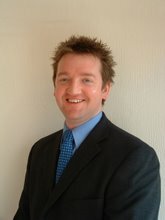 Fylde's Problems are not unique - Budgetary Pressures hit national News! At this weeks Prime Minister Question Time Michael Jack asked the Gordon Brown, "Would he ensure that the monies given to small District Councils for concessionary bus travel was enough?? (Copy the link below into your browser and fast forward to the 50th minute)The Answer given was that the PM felt £275.000 additional funding given to Fylde to cover the National Scheme was adequate!. I believe we need another £300,000! What was worrying about his answer was, that the Prime Minister did not answer Michael's question, which leads me to believe that Fylde will not receive a refund should an overspend occur. This means that Concessionary Bus Travel will now have to become a "High Priority" service for the Council at the expense of local residents both in monetary terms and through a reduction in their local services. Where Does all my Money Go!!?? Fylde Borough Council On Line Poll - Would/Should you Pay More? As the debate rumbles on regarding the current financial plight of the Council a number of key issues and messages are starting to become very clear. Firstly the lack of understanding regarding the amounts of money the Council raises through Council Tax, every letter, email and face to face discussion I have had on the budget highlights the misconception that Fylde Borough Council collects and keeps ALL the tax it raises each year. All are shocked that of the average Band 'D' total of £1300.00 we collect, only £160.00 stays within the Fylde, the rest going to County Hall, the Police and Fire Services. Secondly most fail to realise where the the £11 million of revenue budget is spent each year. For example in simplistic terms, we pay almost £8 million in wages and pension costs, £1.2 million in waste collection and cleansing services and another £1 million in parks, open spaces and other Cultural Services related facilities. After the £433,000 spent subsidising the two pools, the amount left leaves approximately £500,000 to cover a whole miriad of issues across Fylde. The District proportion of Average Band 'D' Council Tax retained in Fylde is on average £35.00 less than other Lancashire District Councils. Should the Council be allowed to raise it's Council Tax above the 5% capping limit, without fear of Government Capping and Penalties to ensure the retention of the Boroughs 'non-statutory' facilities and to respond to local wishes? During the past few days I have received many letters and emails relating a whole host of much loved facilities in the Borough. The Budget is again concentrating peoples minds on what should and should not be given funding this year. Cabinet members and Officers are working flat out, involving County Council, Parish Councils, Ministers and the MP to try and fight for the future of our local amenities. I am in agreement with yourself about Fairhaven Lake and the Pools, However, unfortunately the up-keep of such things are becoming to much for the council to afford. The reason for the article in the newspaper recently was to highlight the fact that the Council is getting less and less money from the Chancellor of the Exchequer, Mr Darling each year. The Council spends nearly £11 Million pounds a year on carrying out it's legal responsibilities. You will pay probably around £1300 per year in Council Tax? But, just £160.00 of that comes to Fylde Borough Council, the rest going to The County Council, the Police and the Fire Service. The Council has been commended for the high levels of service and has won national awards for parks, waste collection, beach cleanliness and last year Fylde was recognised as having the cleanest streets in the North West of England. We are in the top 25% of Councils in the Country in respect of Value for Money. There is no waste in the Town Hall, just subsidy. From all the houses in Fylde (29,500 of them) we raise just £160.00 to spend, we also receive a Government Revenue Support Grant of £5 million pounds. With this money we have to pay the staff, clean the streets, cut the grass, clean the beach and look after Parks and Gardens. These are just some of the jobs we use this money for. The problem Fylde (and all the other councils in the Country) is having, is that, prices are going up and the councils spending money going down. So the first thing the council has to do is prove to the Government that we can manage our money well (they call it Value for Money) when planning our spending for the next year, we have to look at what things are losing money first. This is why facilities such as the Swimming Pools come up first each year, as they lose the most money. The Pools in St Annes and Kirkham are subsidised by Council tax payers to the costs of almost £450,000 pounds each year. This shortfall has to be paid by Council Tax Payers like yourself each year. The amount of subsidy/shortfall is after all the people have paid to go in to Swim and the running costs are paid for. The pools require another 180,000 swims each year, to break even. The Council is happy to provide such facilities, providing residents use them. After last years Gazette campaign to keep them open we were very clear that if everyone used them just twice a year then they would be safe, the fact is less people are swimming this year than in 2007. We need to look at ways of turning that around! The same applies to Lowther Theatre which again costs tax payers £73,000 a year in subsidy. That is why Councillors decided to apply parking charges to the car park to help minimise the drain on the tax payers limited money. Hopefully this decision will now help secure the Theatre. The Councl has to decide what it's priorities are each year for limited funding. Below is an email I sent to the newspaper recently to try and explain why Councillors have to make hard decisions about saving money and how. I hope this helps you understand the pressures a little better?? Increase of Diesel Fuel this year equating to £130,000 to run the Councils fleet. Of this amount almost 82% is tax! Cut in Government Grant meaning a real terms increase of just £10,000 - reducing for next two years. Concessionary Bus Travel - Government Grant has been given - However - any shortfall has to be paid for by Fylde Council Taxpayers. FBC have a duty to pay for the return bus fare for a visitor to Fylde to return home anywhere in England. Based on past take-up we believe the bill could reach £250,000 more than the budget allowance this year. Government Savings Target (Gershon Savings) have set FBC are target of reducing it's spending by £300,000 per annum for next 3 years. This is a "You Must Deliver" target. This one target alone has put the Pool in St Annes under threat. Propping Up of the Lancashire County Council Pension fund is costing FBC £78,000 more this year. The Plundering of Pension Funds by Gordon Brown has meant that Pension Funds are failing to meet their donors demands. The Fylde Council is no different. Government Policy on Job re-evaluation. This scheme has added an additional £200,000 pounds the Councils wage bill. This again is a policy agreed between Government and the Unions. Euqal Pay legislation which needs to be considerd will also increase the financial burden. Government Capping Rules that Councils aren't allowed to raise Council Tax more than 5% for next two years. Fylde Borough Council would be able to keep Kirkham pool open if it could raise council tax by a minimum of 8.2% this year. It would take another 8% increase to retain the Baths in St Annes. If we made a decision to break the capping rules, then the Government could force us to re-bill at a cost of almost 100,000 pounds. They could also set our budget priorities for the next three years. Landfill Tax. The extra cost of sending Fylde GREEN/Black bin waste and Trade Waste, will cost up to £200,000 per annum more each year from this year due to new Government Taxes on Waste. The Lancs County Council review of Planning Permission for Sand Extraction on the Beach at St Annes put's a massive question mark over the receipt of almost 150,000 pounds of income each year. The loss of this operation would have devastating implications for the Councils operations. The list above are the main significant considerations but they are by no means all of them! De-criminalised Parking Enforcement, Stray Dog Collection, Smoking Ban Enforcement etc are just another small sample of new National Legislation requirements that have been passed onto the Council without sufficient funding. 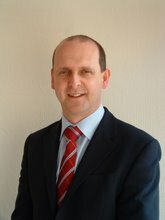 The worrying point that has been missed by Councillors and Residents on this issue this year, is that any budget proposed including the subsidy to the Pools will have to be a standstill budget - no money will be available to invest in many of the other priority areas across the Borough, such as Gardens, Pathways, CCTV, Economic Development, Fly Tipping and Building Enforcement. Here are just some of the external pressures driving the debate on this years budget. 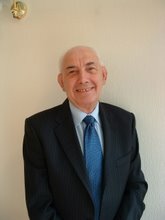 "Residents should be outraged that these taxes and savings are now being passed onto them through Council Tax rather than Central Government funding - Fylde Council is recognised as being in the top 25% of Councils in England delivering Value For Money for the services they deliver, the Governments poor management of it's own budgets is threatening to put our proud record in jeopardy". I must stress that no final decisions have been taken at this stage and the debate will start at the Cabinet meeting on the 15th Feb. Until then the Council will be putting together the final figures. Should Council Tax Rise to Save our Pools? I would not be understating it if I said that, the recent Cabinet meeting which started this years budget setting process, was the lowest point of my time on the Council. Since 2007 we have tried hard to reduce the Councils budget gap in the face of sweeping Government cuts, uncontrollable cost increases and an increase demand for more resources within the Council to deal with issues such as future housing development and economic growth. I am proud of the fact that as a Council we are now recognised as being in the top 25% of most effeciently run Town halls in the Country. Unfortunately when the Government does not recognise this fact and uses it's one size fits all policy to cap Town Halls at levels below 5% then front line services are put under threat. To save Kirkham Pool the Council needs to raise Counci Tax by just 8.2% in total, to save St annes pool the rise would have to be a further 9% This 60p per week rise would secure the future of the pools for the forseable future and would enable to Council to continue investing in our top performing services. I would happily ask the Council to support such an increase if public support was there to accept it, however, my dilemma is two fold. Firstly why should you have to pay more? why should Fylde's residents be expected to find nearly 500,000 pounds more each year to help subsidise the Governments priorities? You have already paid this money once! Secondly by raising Council Tax by 13% above the capping limit we run the risk of incurring a 100,000 pounds re-billing charge and the Government imposing a budget on the Council which would without doubt see the pools close. I fully support the pools protests, but would urge participants to aim their criticsm towards the Government and to send a message that as local taxpayers it is their democratic right to support their Council in raising Council Tax to save our pools. In the next two weeks Councillors and Officers will be working flat out to find a possible solution. I would personally appreciate your written views in support or not, of raising Council Tax above the capping limit, this feedback would be invaluable, should I need to take our case for these actions to Ministers in the coming weeks.